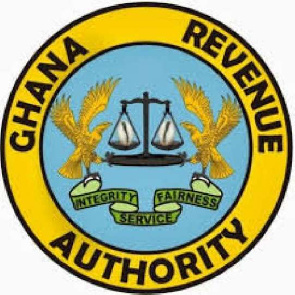 The Ghana Revenue Authority (GRA) says it s currently planning to introduce the payment of Vehicle Income Tax (VIT), Personal Income Tax and e-tax stamp via mobile phones in order to widen the tax net. The GRA gave the hint at a sensitisation programme for stakeholders. At the workshop, Mr Kwasi Bobie-Ansah, the Head of Communication and Public Affairs at the GRA, said it was time the Authority departed from its manual approach. He explained that the GRA had over the years used the manual approach in receiving tax payment, filing of annual and monthly returns, submission of self-assessment estimates and submission of declarations of import duty payments. The approach he noted would go along way to reduce the stress tax payers pay especially drivers. For the drivers, the GRA said it plans collaborating with the police to have drivers use a text code to validate their payment. In this case, a driver who is stopped by the police to have his sticker checked would have to text his car registration number to the code to have his payment or renewal confirmed. He said the mobile money payment platform being proposed had been designed to allow commercial transport operators who pay their quarterly tax through the VIT sticker system to pay through mobile money. Aside that the system would also help self employed persons pay their personal income tax using the mobile money platform. The GRA is of the view that the new proposed model of payment would increase the country’s rating on the World Bank’s ease of doing business as well as reduce the cost of and time required to pay tax. Under the proposed model, VIT payment would be done through the mobile payment system and would not require drivers to keep VIT stickers in front of their vehicles, which would allow law enforcers to now check status of registration using a particular USSD code.